Find humor in the little things of life. Seek to give humor to others...Remember to find joy...resolve to laugh at yourself! Sometimes you gotta laugh or you're gonna cry. I agree humor is so good medicine. 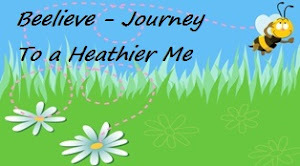 I have a ton of women's ministry questions, between you and DeeDee, maybe we can share ideas on what works. Our ministry is slow, can't get volunteers. Any suggestions? Oh what a sweet post. Thanks for sharing. I get smiles everyday from our 4 month old grandbaby he is always happy. The happiest smile I see is when he wakes up and sees you and his face just lights up! Smiles just brighten your day! Great post and ooo so true, Laughter is a healer. Do you remember the commercial the pepsi commercial where the baby was in the yard and all those puppies were jumping and licking on the baby and the laughter that came from him, They used that in a nursing home and the elders would sit and laugh right along with it. They found more of the elders were eating more and chatting more. 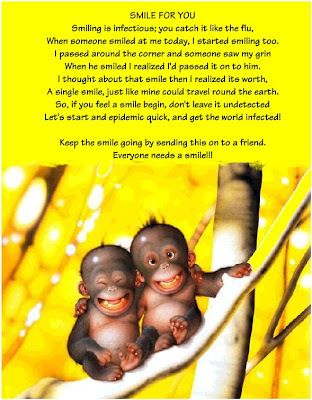 So yes we should spread the smile and share the laughter!! What a great link you posted too! My hubby and son and I laugh a lot together! We have funny names for each other and we strive to make one another giggle in tense moments. This is such perfect timing. I am giving a MOPS talk in two weeks about laughing. So finding this post and link is just what I needed. Thanks. I'm all about a good laugh!